‘Why do you do it?’ said the diver, struggling into her drysuit and eyeing my swimming costume with a tinge of horror. Because this is what it looked like; because being in a wetsuit is not the same as being in the water; because I can. I do admit to wearing gloves yesterday, I had forgotten that, when I drew this. 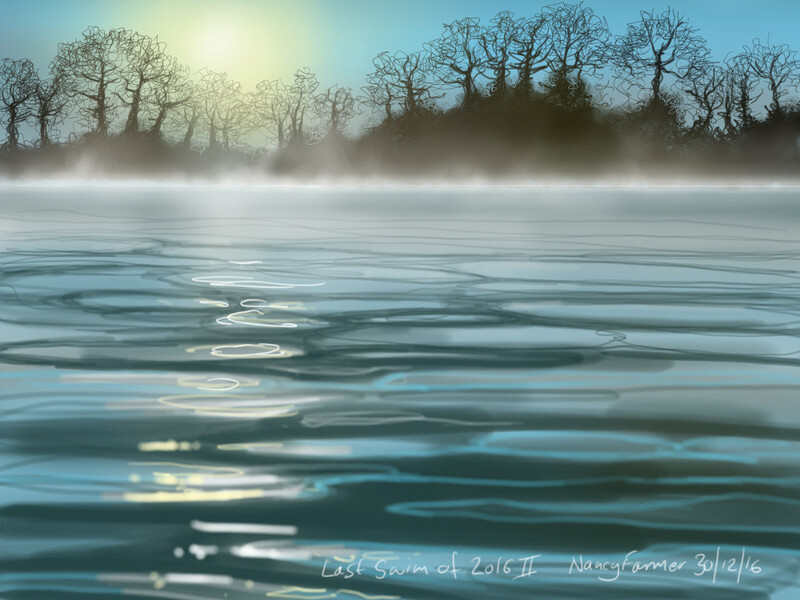 Particularly good for chilly swims when you can’t help but stop and take photos. I had a slight dilemma about adding people to this picture, so I finished two versions. 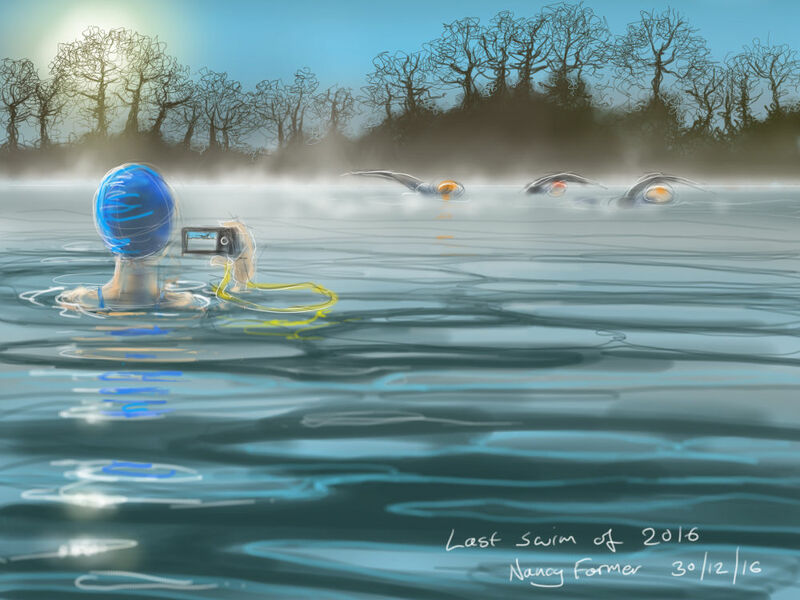 This entry was posted in showcase, swimming and tagged art, cold water swimming, drawing, open water swimming, showcase, swimming, swimming drawings, Vobster, Vobster Quay on December 31, 2016 by Nancy Farmer.